I’m something of a Christmas card connoisseur. 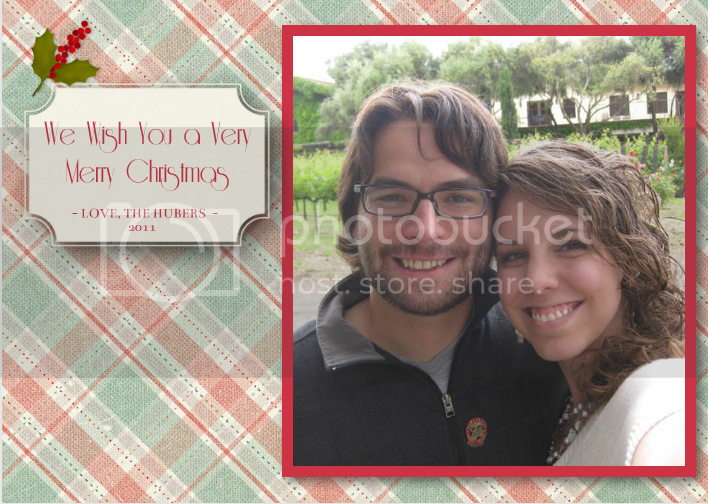 My husband and I have made it a point to send out cards every Christmas we have been married. 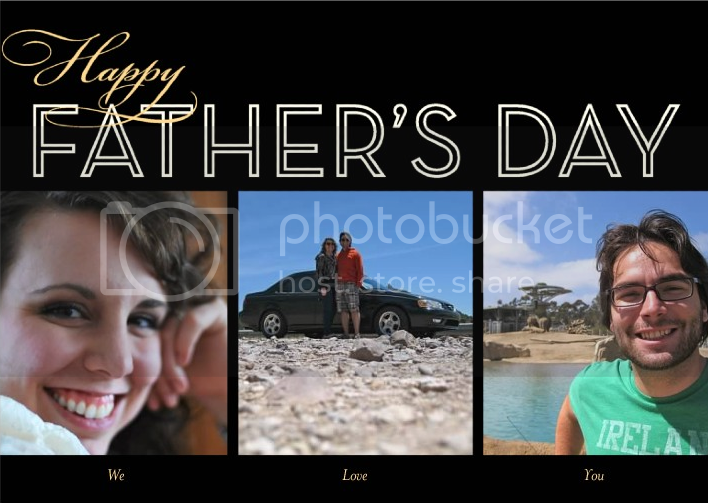 The quest to make the perfect photo Christmas card has also led to the sending out of personalized Mother’s and Father’s Day cards many years. These yearly rituals are the fruit of a desire to hold on to traditional practices that bring people together and make us more human. I love hand-written and personalized notes. I love the feeling I get from framing a precious photo or flipping through a photo book. These things, so often looked over in our modern culture, create a sense of community across miles and literal or figurative distance. This journey toward paper-fueled community has led me to many online photo services through the years. I will highlight a few here as well as a few of my favorite cards I made along the way. This was the first company I ever used for photo services a few years ago, so I feel a bit loyal to them. I started using them back when I printed all of my photos on 4×6’s. Now I make photo books of our life, but they still have the cheapest prints around at 8 cents for the prepaid version. These “cards,” at 8 cents a piece, were perfect for a time when we needed to save a lot of money. It’s not the height of my own design prowess, but it did the job a few years ago. In recent years I feel that the quality of designs that Snapfish offers has waned. This goes for all their products including cards. They haven’t kept up as well with the aesthetic that is current right now. Their look is more basic and clean, but it is also cheaper across the board. If cost is something very important to you then Snapfish is the way to go. I still use them for printing simple pictures for their price cannot be beat. I came across this service through a Groupon one year and was thrilled with the result. They are not necessarily cheap, but they run so many promotions and outside deals through services like Groupon that it almost doesn’t matter. Last year we did a lot of traveling and wanted a card to display some places we had been without looking like a cheesy collage. After some tweaking I came up with my version of this 2-sided design. A Photo From Napa Valley which you may remember from this post. 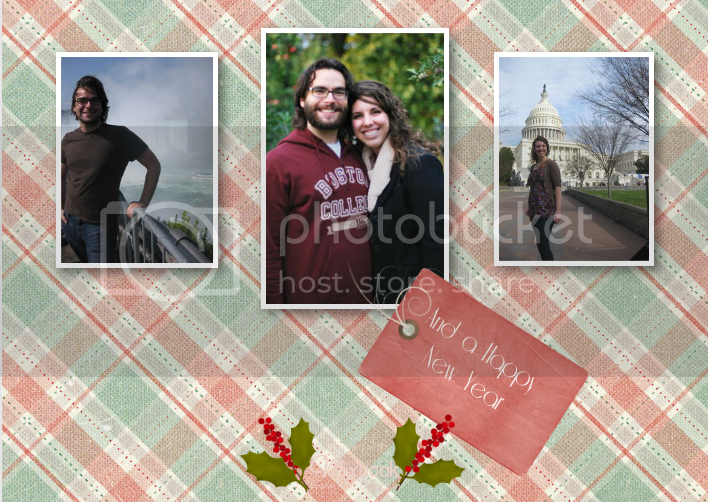 Classy Photo panels on the back display an extra series of pictures. One of the best parts about Mixbook is their versatility and design capability. You can add stickers and symbols to your designs (as I have done above), move photos around, and add any type of text imaginable. In this sense Mixbook becomes a sort of tool for the super creative individual who wants to send something truly unique. I love the subtle touches in their designs such as the shadows under the photos and the muted color choices. Mixbook is something everyone should try at least once. In recent years Shutterfly has been moving toward being the dominant force in online photo services. I can see why every time I order from them. Their pre-made designs are superior and their customizing ability keeps getting better. 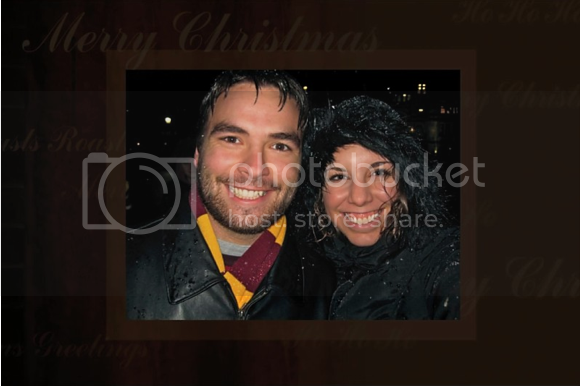 The downside to Shutterfly is their price. They are generally toward the higher end of the spectrum. The way to game the system is to stay on their mailing list. I receive deals and codes to use for 50% off all the time. This makes purchasing and designing with them much easier to swallow. 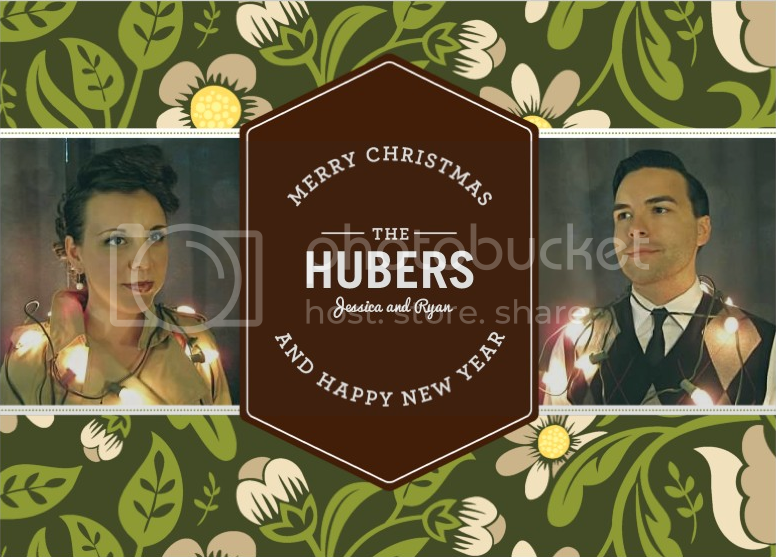 Here are a couple card projects I’ve made with them including this year’s 2012 Team Huber Christmas card! I love sending personalized cards to Mothers and Fathers on their special day. For the same cost as a Hallmark card you can add some of your parents’ favorite faces to the card. This might be my favorite Christmas Card we’ve done. We went for the retro look: the red lips and jelly-roll hair, and the sweater vest and side part slick back. We were feeling the slightly ironic card this year. 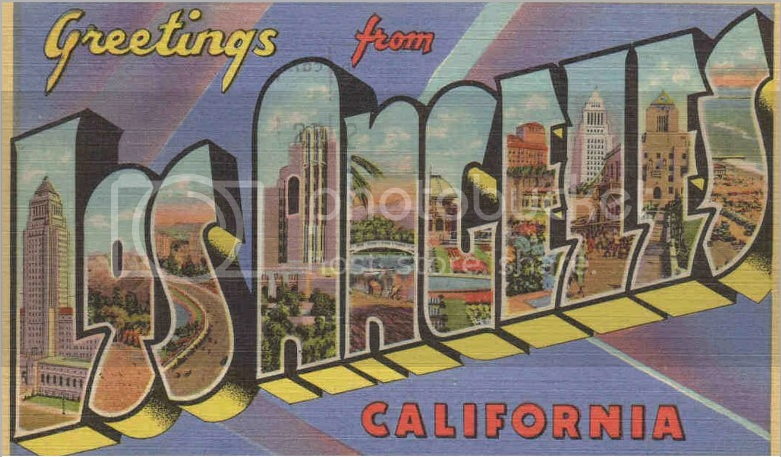 We added to the retro feeling with the back of our card being an old-timey Los Angeles postcard. Having just moved here it provided a way to update everyone on our location without sending a long letter on tacky stationary. It is such a joy for us to give and receive Christmas cards every year. We proudly display them in our house and they become as much a part of the decoration as anything else. It’s not too late to order your cards this year. Try one of these services if you’re stuck on what to send your friends and family. Some of them will even mail them for you! This entry was posted in Art, Current Events, Family, Home, Decor, Organize and tagged Boston, Card Ideas, Christmas Cards, Comfort, Community, Comparison, Greetings, Holidays, Jessica Huber, Jessica Rae Huber, Joy, Los Angeles, Mixbook, Shutterfly, Snapfish, Travel. Bookmark the permalink.